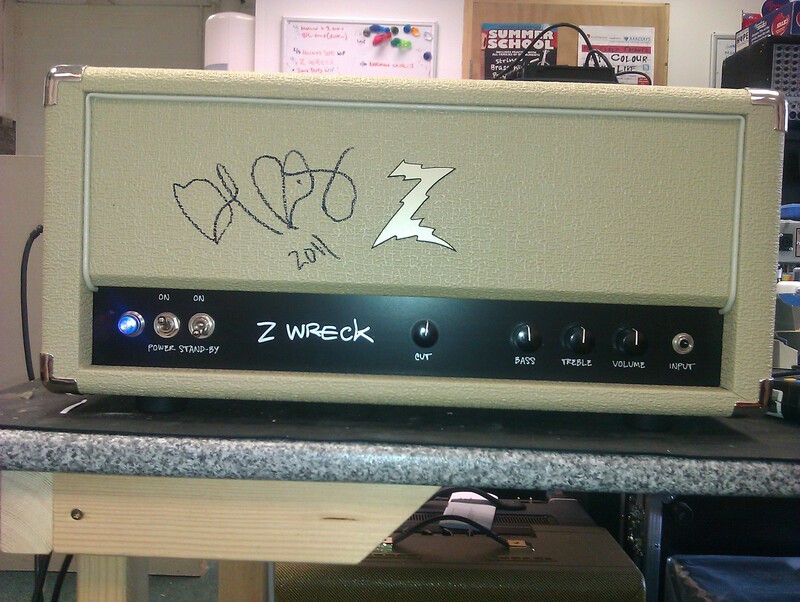 Dr Z “Z Wreck” amp. This example bears the signature of a famous Telemaster. Dr Z amps are very well made, and rarely fail. This one was no exception, just requiring a service to restore full health.